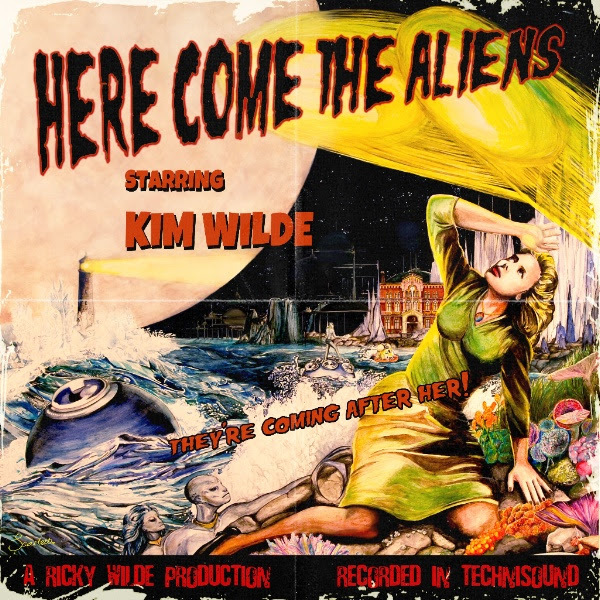 earMUSIC is proud to announce the release of Here Come the Aliens, the first studio album in seven years by pop icon Kim Wilde on March 16, 2018. The album combines Wilde’s pop roots with her love for rock music, presenting great guitar riffs and drum beats. Here Come The Aliens marks a milestone in Wilde’s exciting career. Please go here for any Kim Wilde tour updates. Voted Best British Female Singer at the BPI Awards in 1983 (forerunner to the Brits), Wilde supported Michael Jackson during the Bad European tour, playing in front of more than two million people. She also opened the shows of David Bowie across Europe on his 1990 Greatest Hits stadium tour. After a break from music and focus on her family life, Wilde returned on stage in 2001 and appeared on various festivals across Europe and Australia. Since then, she continues releasing chart albums —Never Say Never (2006), Come Out and Play (2010), Snapshots (2011), Wilde Winter Songbook (2013)— and performing with her band live all across the globe as well as continuing her own, very popular UK radio show on Magic FM. OVERKILL Announce Wings Over The USA Tour With DEATH ANGEL & ACT OF DEFIANCE! January 28, 2019 Bernard Cana General Announcements, New Release, On Tour Comments Off on OVERKILL Announce Wings Over The USA Tour With DEATH ANGEL & ACT OF DEFIANCE!